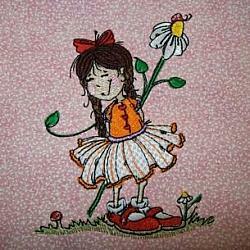 All designs are the licensed property of Needle Little Embroidery and are protected under copyright law. Purchase of these designs extends permission to the original purchaser only, to stitch the designs for personal use, gifts and items for sale. The design files themselves may not be sold, gifted, shared or altered in any way to create a new design and then resold. Sales using NLE designs must be on finished tangible products. Any sale of NLE LCC designs apart from engaged contracts with NLE LCC, in a digital form is prohibited by law. Design files may not be resold as a downloadable product or be placed for sale on CD, USB or any other manner of transfer. Designs from NLE may not be altered, segmented or combined with other designs to create "as new" design files to then be resold as a digital embroidery file. 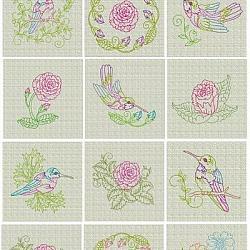 All designs remain the copyright of Needle Little Embroidery. 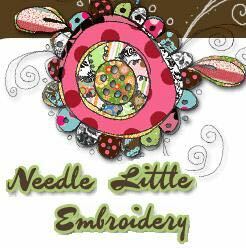 If you are a crafter or web site owner or sell goods through Etsy, Facebook or other venues, acknowledgement of Needle Little Embroidery as the design source is required. Please contact me for a banner to display on your item's sale page. If you sell at shows please include an acknowledgement somewhere within your item's display,on the item itself or within the receipt. I can provide you with a printable acknowledgement upon request. 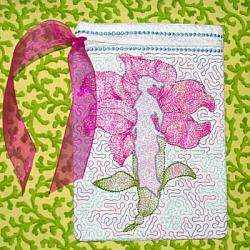 No license is required up to 100 items per calendar year. The use of NLE designs in any illegal,obscene or profane way is strictly prohibited.